Our mission: Equip students with the skills to be confident, competent writers. Build Competency in Written Communication. This free mini-series will offer you encouragement and concrete strategies you can start to help your child develop a strong writing habit. The key to your student's success is Summit Writing Academy's exclusive Playlist System. Explore an interactive demo version of a playlist and see how it can be used to develop your student into a confident writer. On Saturday, selected student writing is showcased and read aloud on our Saturday Stories podcast! Students love to hear their work read aloud, and enjoy hearing stories written by their peers. Leave the Writing Instruction to Us! You don't need to add one more complicated system to your homeschooling regimen. Summit Writing provides your student with the writing tools and practice they need! It all starts with a collection of ideas. The best ideas are chosen and used to create a composition. Rough drafts are revised and polished each month. Students start their writing journey at different ages. We’ve designed our program to meet your child where they’re at - regardless of their ‘grade’. With our mastery-based learning approach, your child will be able to meet learning objectives at their own pace. Our adaptive learning platform will modify your child’s assignment playlist based on their performance each month. Each month students have the opportunity to polish a composition. Whether it’s two paragraphs or twelve, their writing will demonstrate their continued growth as a writer. This writing is given feedback and easily available to show to your education specialist. Summit Writing Academy is specifically designed to get you up-and-running quickly! Grab an account for each child you're enrolling. Each student is required to have their own account, with a unique email address, to access their personalized learning environment. Have them fill out their profile. After registration, each student receives an email with instructions on how to set their own password and forum nickname. Set aside 20-30 minutes per day for them to use the software. The Summit System encourages students to set goals for when they will work on their writing. 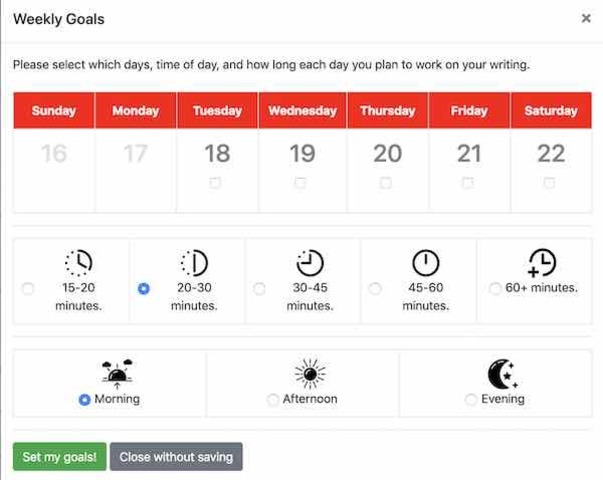 For best results, students should plan on 3-4 days per week. Start to watch your child develop as a confident writer! Research shows that successful students make time for deliberate practice. Our state-of-the-art platform offers everything you need. Cancel and refund your membership subscription at any time during the first 30 days, no questions asked! A new playlist of assignments generated each week based on learning objectives. Twice a year, students with active memberships will receive a printed Anthology of Student Work that includes at least one of their polished pieces. Learn and use new words, share particularly delicious words in our Chocolate Words forum. Creativity is meant to be shared! Students share and give feedback to their peers on a forum. Your membership includes personalized feedback of student's monthly polished piece by Summit Writing education specialists. Easily follow along with your student's progress. One-click export of student work for sharing with Education Specialists, or your family and friends! In addition to focused assignments and writing exercises, students create and share one polished writing piece per month. Summit is an Approved Vendor for many Charter Schools and Homeschool Boards, and can accept Purchase Orders for Payments. Learning from Day One. Summit Writing Academy is designed to be self-directed and learner-centric. Students receive feedback on their writing as they progress through the Summit System. At the click of a button, all your student's work can be downloaded and shared. No more scrambling! I wanted to thank you for the enjoyable lessons. The kids have been really enthused about their writing this semester. I like your way with them and the way you teach. We are thankful to have had the experience. Our kids have been thriving under your teaching. I wanted to let you know the lasting impact you had on Gabe. As he has returned to public school, the steps in story writing has stuck with him and often we use the sentence "remember what Mrs. G showed you about..." as we tackle a sticky point. Thank you for inspiring him and giving him tools for life ahead. For just $79/month per student, you receive every feature in Summit Writing Academy. * Must have current membership at time of printing (December and May) Create Your Membership Today! If Summit Writing Academy is already an approved vendor for your Charter School or Homeschool Board, simply choose "Pay with Purchase Order" during the check out process. If we are not yet an approved vendor for your Charter, let your Educational Specialist know that you'd like to register with Summit Writing Academy and we will gladly start the process! Due to the personalized nature of the learning platform, each student requires their own unique account. A parent is able to view the progress of multiple students on their supervisory dashboard. Where does this fit in our education plan? Summit Writing Academy curriculum provides focused writing instruction. Because grammar, vocabulary, reading comprehension and critical thinking are part of writing, they are woven into the curriculum. During the first 30 days of your membership, we will refund your money, no questions asked. Since we are a membership site where you pay monthly, simply cancel at any time and you can continue to use your membership until the end of your current billing cycle. Ready to start the journey to confident writing? Sign up and get our latest updates! Copyright © 2019 Summit Writing Academy, Ltd. All Rights Reserved. Made with in Canada and California.